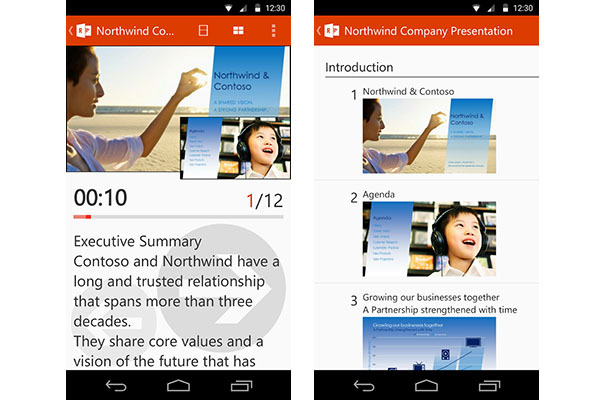 Microsoft is actively expanding its reach on rival mobile platforms, especially Android. The software giant has added yet another feather to its app hat by releasing the Office Remote for Android app. As the name suggests, it is your remote to control the PowerPoint presentations and Excel Pivot tables. But first, you will have to connect the phone over Bluetooth with a desktop/laptop running Office 2013 or Office 2016 Preview. Besides controlling the slides, it also emulates finger touch as a laser pointer in the presentations. The Office productivity suite apps already existed, the company had announced to give free Office access to devices under 10-inches. The Office Remote for Android is available for free in Google Play Store.